LASTER: Debut album of black metal band from Holand! 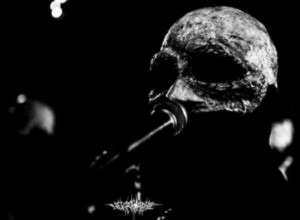 Black metal from the Netherlands is more powerful than ever. Coming off the band’s impressive 2012 demo Wijsgeer & Narreman, Laster returns with its debut full length De Verste Verte Is Hier. Four enthralling songs in perfect balance between superior composition, harsh mood and black metal, which the band lives to the fullest. Laster’s style stays true to black metal despite its atmospheric enthrall. Featuring members of Northward and Willoos, De Verste Verte Is Hier is a true Dutch black metal masterpiece. Limited to 100 copies on solid dark blue shell cassettes.Dunkelheit Produktionen will be handling the CD and vinyl release.